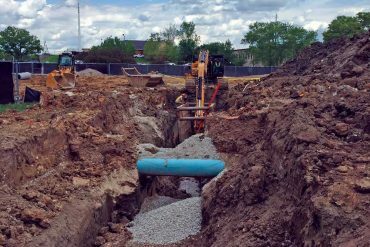 Before breaking ground on a new project, it's always important to know what buried utilities are lurking underground. And while your excavator may be ready to start clawing through the soil, it's essential to identify these utilities prior to digging. 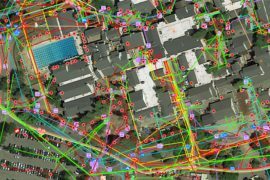 Services such as One-Call are a great starting point at identifying a utility's location, but are not foolproof. Before breaking ground on a new project, it’s always important to know what buried utilities are lurking underground. And while your excavator may be ready to start clawing through the soil, it’s essential to identify these utilities prior to digging. Services such as One-Call are a great starting point at identifying a utility’s location, but are not foolproof. 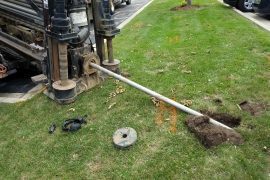 This is where adding a vacuum excavator to your fleet becomes beneficial in exposing a utility, so you can steer clear of accidentally striking it and causing dangerous and costly damage. Vacuum excavation technology has been around in some shape or form since the 1950s. Vacuum hoses are often seen around work areas suctioning the earth to expose a utility in a quick and safe manner. In 10 minutes or less, the operator can safely identify and positively locate a utility — avoiding the potential of damaging it during a dig. In this article, vacuum excavator manufacturers offer up the histories, summaries and specs for their product lines. Take a look at these machines and consider the benefits they offer when keeping crews safe on the job and utilities in working order. For more than 85 years, McLaughlin has been actively involved in the drilling tool industry. 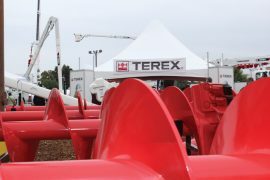 During that time, the company has developed a reputation for designing and building dependable, low-maintenance trenchless construction equipment. McLaughlin takes pride in providing solutions for OEMs and the underground industry. It is a leading manufacturer of vacuum excavation equipment, ranging from 100- to 3,000-gal tank capacities. McLaughlin uses an industry exclusive three-stage filtration system that allows for both wet and dry vacuum excavation. First, material enters the tank at 130 mph where the large soil particles lose velocity and fall out of the filtration system. Next, the air moves to a pre-filter cyclone where the remaining small particles drop into a collection tank. Finally, the pre-filtered air enters a washable micron-poly filter that traps any remaining fine particles. The McLaughlin Xtreme line of combination air/water vacuum excavators offer a class-leading 1,200-cfm positive displacement blower that provides unsurpassed power in difficult ground conditions. A 99-hp diesel engine produces up to 15 in. of mercury and 3,000 psi of water pressure. Customers can custom build a unit to meet their needs, including a choice among 500-, 800- or 1,200-gal (1893, 3028, 4542 L) spoil tanks and the unit can be set up in either a trailer- or skid-mounted configuration. Customers can customize the unit with the addition of a hot box, arrow board, hydraulic boom and sewer jetter system. The Ditch Witch vacuum excavation product line was started about 14 years ago as a support system for the company’s horizontal directional drilling (HDD) line and has evolved into a versatile damage prevention tool for exposing underground infrastructure. 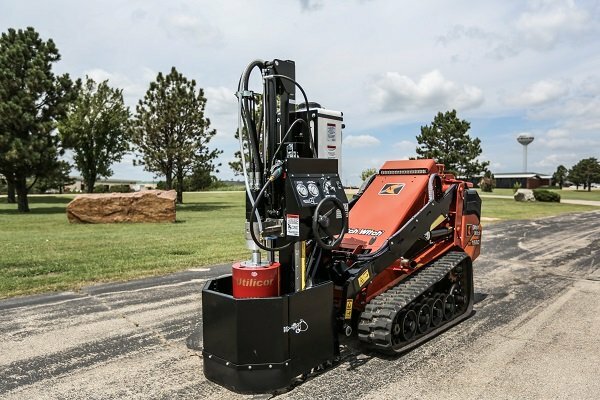 Designed to take care of all types of spills and unwanted fluids, Ditch Witch vacuum excavation systems are available in a variety of sizes and configurations. Ditch Witch vacs offer exceptional suction power and water pressure to help customers tackle virtually every possible cleanup or soft excavation task. From valve box cleanup, commercial and residential landscaping and posthole digging, to a wide range of projects for road crews, rental yards, homeowners and golf course superintendents, the FX20, FX25, FX30, FX50 and FX60 take care of the job. The 49-hp FX50 can be customized to a customers specifications with choices of tank sizes, trailer configurations and options such as hydraulic booms, water heaters and hydraulic valve exercisers. The FX50 comes with a choice of four spoils tank sizes (from 300- to 1,200-gal capacity) and four water tank sizes (80- to 500-gal) to meet the requirements of virtually any size cleanout job. 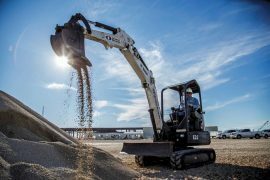 The FX50 can be configured with an optional reverse flow feature that enables the operator to offload fluid spoils from the vacuum tanks quickly and easily. The hydraulic tank door on the FX50 opens fully to maximize the efficiency of spoils removal. Since their acquisition in 2006, Vacall machines have been designed, manufactured, sold and supported by Gradall Industries Inc., which has earned a worldwide reputation for superior strength, versatility and quality. The Gradall influence served to further strengthen the Vacall product group, first introduced in 1951 as a high performance solution to clear and maintain sewer lines and perform many other vacuum and jetting tasks that routinely challenge governments and contractors. Today’s AllExcavate hydro excavators, as well as Vacall’s AllJetVac combination jetting/vacuum sewer cleaners and other models, are designed for contemporary needs with extra durability, efficient energy consumption, reduced emissions, precise operator control and industry-leading vacuum and jetting power. Vacall AllExcavate models are now available with a high dump option — a unique design with the ability to raise the debris tank as much as 76 in. above ground level, shifting the tank horizontally 21 in. beyond the rear bumper. This debris tank repositioning enables AllExcavate models to dump material into roll-off or other containers on jobsites, rather than losing productive hydro excavation time driving to off-site dumping locations. A wireless remote control system allows the operator to get a clear view of the dumping process and help avoid spills. The rugged, oval shaped debris body also features an innovative tailgate design that opens, closes and locks easily, with an optional flushing system that cleans out the interior of the body. Standard and optional debris bodies and water tanks are available with lifetime warranties, maximizing the machine’s working life. The highly efficient AllExcavate models generate high pressure water flow and vacuum forces to remove dirt from around water, sewer, gas and other utility lines, as well as around foundations where mass excavation is not possible or practical. Available water pumps work at 10 and 25 gpm with 3,000 psi. Another popular option on AllExcavate models is a cold weather package. This feature includes heated cabinetry that encloses the boiler, warming the water for hydro excavation when temperatures drop below freezing. Designed-in stability issues, i.e. does the debris tank raise and dump independently from water supply? Since 1972, Wisconsin-based Super Products LLC has been a leading manufacturer of truck-mounted vacuum equipment. Early on in its existence, the company’s product line included the industry’s original Supersucker industrial vacuum loader and its Camel combination sewer and catch basin cleaners. Super Products quickly earned a solid reputation for developing innovative, cost-effective and time-saving equipment and its products became quite popular throughout industrial, municipal and contractor markets. Looking to further expand its equipment line and taking notice of the emerging need for a less invasive, safer alternative to traditional digging methods, Super Products introduced its first hydro excavator — the Mud Dog — in 2001. While the original Mud Dog 1000 featured a 10-yd debris tank capacity, the company has continued to expand its product line during the last decade. It now offers several size models from the Mud Dog 650 with 6.5-yd debris capacity to the 16-yd capacity hydro vac, the Mud Dog 1600. The newest addition to Super Products’ line of hydro excavators is the Mud Dog 1200, which debuted last fall. Ideal for operating in oil fields as well as a variety of applications such as potholing, daylighting, slot trenching, debris removal and exposing utilities, this 12-yd hydro excavator offers superior boom function, a tilt-ejection unloading system and other unique capabilities that increase operator convenience, jobsite efficiency and bottom-line profitability. One of the more impressive features found on the 1200 is its rear-mounted telescoping boom. In addition to 335-degree rotation and 27-ft reach, this articulating boom is capable of upward and downward pivot action. While the 45-degree upward pivot results in 16 ft of vertical lift above horizon, the boom’s ability to pivot downward 25 degrees enables digging as deep as 14 ft below grade with just a single 7-ft dig tube. To unload its debris collector body, the 1200 utilizes Super Products’ industry unique ejector technology, which boasts an ejector plate to smoothly push the load out of its collector body and into the disposal site. According to Super Products’ Product Manager Dan Koziczkowski, having a clear understanding of their needs prior to beginning the decision-making process will be extremely valuable for customers in the market for a hydro excavator. 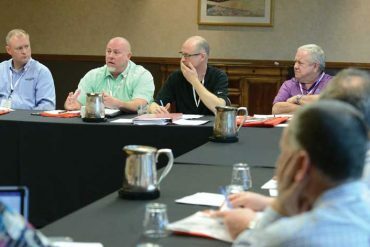 “By identifying the most common, and most challenging, hydro excavation demands their crews may face, customers can ensure they purchase equipment that is best suited for their business and the services they offer,” he says. Originally founded in Chicago in 1911 as the Myers-Sherman Co., a manufacturer of pneumatic farm equipment, Vactor Mfg. 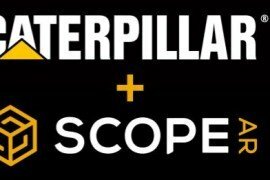 has become an industry leader in sewer and catch basin cleaners, industrial vacuum loaders and vacuum excavators. In the early 1960s, catch basin cleaners were adapted for hydro-excavation use. In 1969, Vactor built its first hydro-excavation machine, the ExcaVactor. With increased customer demand for dedicated hydro-excavation machines, Vactor introduced the Vactor HXX Hydro-Excavator in 1999. 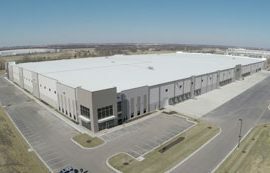 The company currently has more than 50 North American distributors in 100 locations to serve the municipal market, and six factory direct locations for industrial customers. Today, Vactor’s 235,000-sq ft facility in Streator, Ill., is staffed by more than 500 employees. The ISO 14001:2004-certified facility is recognized for achieving continual improvement of its environmental performance. The Vactor HXX Hydro-Excavator is ideal for drilling mud reclamation, safely exposing and identifying underground utilities, slot trenching, drilling rig cleaning and frac tank and general tank cleaning. This machine can also tackle pipe and line installation, potholing, waterline repair, slot trenching, directional drilling, sign and pole installation and other large-volume excavation. The Vactor HXX Hydro-Excavator provides up to seven hours of continuous operation with the on-board water. The standard variable flow water systems allow lower water flow, resulting in less operator fatigue and a cleaner, more precise digging process. The systems also allow for up to 25 gpm for those projects requiring higher water flow capabilities. Features include a 12-cu yd debris body fabricated from corrosion- and abrasion-resistant steel; a 1,200-gal high-density polyethylene (HDPE) water tank that retains heated water temperature longer than steel; and a top-mounted, 7-ft hydraulic extendable boom that provides 320-degree rotation for optimal boom coverage. Heated pump cabinets and a built-in boiler allow the HXX to work on frozen ground in sub-zero temperatures. Included in the purchase of every Vactor HXX Hydro-Excavator is the RightStart customer experience program, designed to give customers the information, contacts, training and resources they need to be productive with their new machine. A factory-trained RightStart technician performs on-site, hands-on training to ensure the customer understands how to operate the machine for maximum productivity. Vacmasters has designed and developed high-velocity proprietary nozzles for its systems, and all engineering and fabrication stays in house for quality control. The five air-vacuum excavation systems that the company designs, develops and manufactures — the SYSTEM 1000, SYSTEM 3000, SYSTEM 4000, SYSTEM 5000 and SYSTEM 6000 — dig potholes and perform trenching jobs in a matter of minutes using high-pressure air. Potholes are used for exposing underground utilities, environmental soil sampling and pipeline maintenance. Vacmasters also manufactures and sells factory-direct the SpoilVac hydro-vac system used in directional boring. The SYSTEM 5000 is the newest addition to the Vacmasters air-vacuum excavation family. With 50 percent more vacuum power than the SYSTEM 4000, while offering the conveniences of a hydraulically powered full-opening rear door, the SYSTEM 5000 makes utility jobs extremely fast while offering the same safety benefits of Vacmasters’ entire line of products. While maintaining a smaller footprint than larger vacuum excavation equipment, the SYSTEM 5000’s added vacuum speed will allow you to complete more billable work in a day’s time. “It is important to understand that it takes more horsepower to dig a hole with air than it does with water,” says Trevor Connolly, Vice President of Sales and Marketing for Vacmasters. “This is because air is a soft, compressible gas and water is a hard, non-compressible fluid. Air systems work by delivering supersonic air from the air lance while still in a compressed state. The compressed air than travels into all the porous spaces in the soil and begins to expand and break apart the soil while the operator is simultaneously vacuuming up the spoils. Conversely, water works by cutting the soil and turning it into mud. One of the major problems with water is that it is very indiscriminate in what it cuts: Water can cut through either the soil or a buried utility. 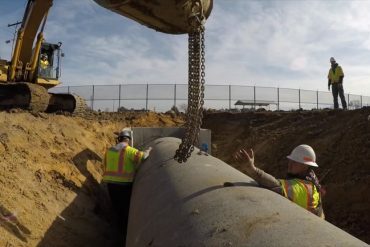 Founded in 1997, Vac-Tron Equipment began with a focus on creating safer ways to work around underground utilities — and has expanded upon that vision. Today, Vac-Tron offers a broad range of industrial vacuum, excavation and environmental cleanup equipment with more than 50 applications. With several wet and dry uses in one machine, Vac-Tron offers a complete excavation solution. Available equipment includes: ATV Series (chassis-mounted air excavation system); Low Profile (LP) Series (trailer-mounted hydro-excavation system); Air Series (trailer-mounted air excavation system); Mini-Combo Series (sewer jetting system); SV Series (mud and slurry recovery vacuum); and the CS Series (compact industrial vacuums for wet and limited dry non-hazardous applications). The FlowMaster Series is an industrial vacuum excavation and hydraulic valve exercising system that can be added as an option to the LP, Air and Mini-Combo Series. The LP Series, which includes the LP 555, LP 855 and LP MINI models, is Vac-Tron’s most versatile line of hydro excavators. The LP 555 and LP 855 are trailer-mounted, available with either a 36-hp (DT models) or 49-hp (SDT models) Yanmar water-cooled diesel engine, and can be fitted with either a 580-cfm or 1,000-cfm vacuum pump. The LP 855 is Vac-Tron’s largest standard unit and comes with an 800-gal debris tank with 200- to 300-gal water capacity. The LP 555 has all the power of the larger units, but is equipped with a 500-gal debris tank with 200- or 300-gal water capacity. Each LP MINI model (LP 305DT, 355DT and 355GT) has full potholing, daylighting and cleanup abilities with a 300-gal debris tank, manual spin-wheel door (optional hydraulic door) and two 50-gal water tanks. The LP 555 and LP 855 hydro-excavators are available with either a Yanmar 36- or 49-hp water-cooled diesel engine. Available LP MINI power packages include either a 25-hp Kohler gas (standard) or 25-hp Yanmar diesel. All Vac-Tron power packages are mounted inside encasements with hinged sides to ensure easy accessibility for maintenance. “Talk to your dealer about available options and accessories to customize your vacuum excavator to best suit your jobsite needs,” says Brian Showley, Vac-Tron’s Vice President of Sales.